I find myself communicating a lot this past week with you. 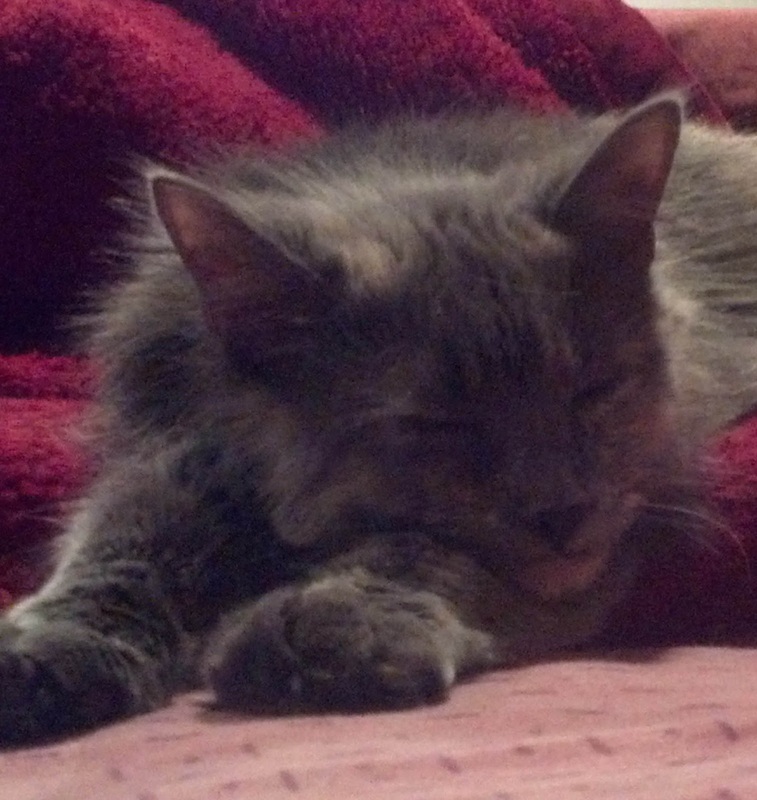 As you know I adopted Savannah Hope on Tuesday. She is a precious little thing. So she spends the day and the next morning I am playing with her and I thought I saw something on her move. Well let’s leave it at that! I was scared and angry. I adopted Savannah from the same place I adopted Mercy & Grace. I was very specific about the cat's health. Make sure she has no fleas; I have two other cats and this could be disastrous. Well lo and behold, you got it - this kitty cat has fleas. I was so overwhelmed. I drove immediately to the vet, treated Mercy and Grace just in case somehow they also has picked up theses fleas. Luckily they were not playing together. On the contrary they were on opposite sides of the house hissing at each other, having spit fights. So why this story on Thanksgiving? The Bible says that each of us have been given gifts from God. Many different gifts but the same Spirit, Glory to God! In my overwhelming, emotional state, I called my sister crying. It's the day before Thanksgiving and we have fleas! I have a new adorable kitty cat that I don't know what to do with. You see, my brother-in-law a.k.a Dr. Doo-Little, he is a master at taking care of kitties. He has rescued many, housed them, lost some to disease, but not once has he given up on any of these little creatures. In my desperation, I asked my sister I asked her if she could come up to the house on Friday, the day after Thanksgiving and have Dr. Doo-Little "un" flea Savannah. Of the many gifts dispersed by the Spirit of God I am always amazed at the gift of Service. The gift of Service is a behind the scenes gift; it does not say here I am, look at me, see what I am doing..... No, this gift in operation reminds me of how the Lord Jesus went around bringing words of encouragement, healing and then just slipped away in the crowd. No attention grabbing....no, just an act of kindness to someone else. My sister tells her husband Dr. Doo-Little that I was crying and in need. So what does a person who operates in this gifting look like; how do they respond? They pack the pork shoulder, throw the turkey breast in a bag, drive one hour from New Jersey, in the middle of the precipitation (snow by my house) and arrive at my home the day before Thanksgiving to help! Help who? Help me! He spent hours in the bathroom with Savannah, removing this infestation from this precious little tiny creature. In the morning Savannah and mom were doing much better. Oh, it does not stop there. Dr. Doo-Little got up early in morning and went to the Bronx to pick up my dad and bring him to my home. You see, originally we were to have Thanksgiving dinner at my sister house, but they did not count it an inconvenience to pack up, drive in the snow and come to my rescue. By the way, Dr. Doo-Little real name is Marty Lagares. In the midst of it all Marty lost his dad the week before. So this Thanksgiving I want to give thanks to the Lord for Marty Lagares, for his selfless act of service. BTW, Help me wish him a Happy Birthday. Yes his birthday is just a few days away. Happy Birthday Marty! This Thanksgiving, thank someone who is always serving, a behind the scenes person. Let them know how much you appreciate God working through them! I have to stay close to God, a place of protection. When we were young our parents would say, go out and play, but "stay where I can see you". It was for our protection. Our parents were aware of the imminent dangers in the playground, the perils and threats in the streets. I grew up in the Bronx and I remember walking "down the block" from the bus stop. As I walked I felt a presence as if someone was walking close behind me and taking every step I took. So I decided to look back. Yes, there was a man taking strides with me. I decided to "cross the street", to test and see if this was my imagination or indeed danger lurked behind me. I crossed, he crossed. I was afraid but smart enough to heed the instructions of my mom, to be careful and wise. Every time I left the house my mom would say, "be careful out there". As I got older, a teenager, a young adult, those words may have sounded "annoying". Mom, don't you think I can take care of myself? God, don't you think I know how to live my life? I got this! I'll call you when I need you. Surely there are others out there that need your help more. I'm doing OK. Are we? My mom's words echoed and allowed me to escape the danger that had been following me. I entered a safe place, a restaurant who's owner knew my family. I was escorted safely to my apartment. The story continues and this man that followed me carried a knife and his face was painted like a clown. I praise God for His protection and my mother's council. No harm came to me. This clown was no joke; his intent was harm. Sometimes danger has a different face, we must be wise. What is it that happens to us? When is God's provision not enough? Who is instigating and having a battle in our minds? Why do we fall when the warnings are everywhere? If Adam and Eve ate from the tree of good and evil; why is it that discernment escaped them and the sensitivity of knowing right and wrong is somehow shadowed? Disobedience, a breaking of the "rules", a curiosity that caused them to doubt their Creator did not result in more knowledge, but as God promised it lead them to death (Genesis 2:16-17); a penalty that affected every child that has been born. Solomon, a little child not knowing how to carry out kingly duties asks God for a discerning heart to govern; a heart to distinguish between right and wrong; and the Lord blesses him with wisdom like no other man that ever lived (1 Kings 3:6-9). Solomon constructs the temple for the Lord's Name in seven years (1 Kings 6:38). Solomon is rich, wise, and being lured to a place where he will fall. His palace took thirteen years to build (1 Kings 7:1). Solomon be careful, don't allow wealth and riches to steal you from the heart of the Father. A little disobedience goes a long way. The Lord became angry with Solomon because his heart had turned away from the Lord, the God of Israel, who had appeared to him twice. Although he had forbidden Solomon to follow other gods, Solomon did not keep the Lord’s command. So the Lord said to Solomon, “Since this is your attitude and you have not kept my covenant and my decrees, which I commanded you, I will most certainly tear the kingdom away from you and give it to one of your subordinates (1 Kings 11:9-11). A warning about sin....IT'S OUT TO DESTROY US; a spirit of destruction and an obsession to see us fall. Satan meddles in the lives of God's people with very clever propositions. The means to this end is separation from God! These things happened to them as examples and were written down as warnings for us, on whom the culmination of the ages has come. So, if you think you are standing firm, be careful that you don’t fall! No temptation has overtaken you except what is common to mankind. And God is faithful; he will not let you be tempted beyond what you can bear. But when you are tempted, he will also provide a way out so that you can endure it (1 Corinthians 10:11-13). 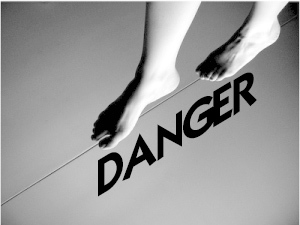 As a child of God we have a counselor that is forever warning us of imminent danger. The Bible says that Jesus intercedes for me in prayer (Hebrews 7:25). He has sent the Holy Spirit to guide me in all things; he warns, convicts, redirects, and loves me immensely. He is forever speaking, if I would just listen. Don't allow me to misrepresent you and reap death (Leviticus 10). I want to stay under your protective cover, Lord. Shower us with discernment; a clear view of the enemy that we may escape. As sin crouches and seeks to devour and destroy, help us Lord to master it, to do what is right, that it may not rule over us (Genesis 4:7). Sometimes danger has a different face, we must be wise. The belt of Truth and feet fitted with the readiness that comes from the gospel of Peace, wow! As I read 1 Kings it reminded me of the armor that the Apostle Paul speaks of in Ephesians. This armor, a "protective covering" if you will that is to be worn by the believer, equips us for battle, spiritual battle. Paul takes the physical armour used by the Roman soldiers and begins to share with us this analogy in the inspired Word of God. We as Christians are to be alert and of sober mind. Our enemy the devil prowls around like a roaring lion looking for someone to devour (1 Peter 5:8). At any moment, a subtle turn, a whisper, though it may seem far, can begin to settle in our hearts; a seed that leads to danger, to ruin. This turn, this decision, this entertainment of wicked thoughts, this call to leave the straight and narrow path (Matthew 7:13) it really can lead to a life of destruction. Joab, the commander of King David's army; we read how he obeyed all the commands from King David. Yet, something incited him, provoked, prompted him to disobey and kill Abner who was the commander-in-chief of Saul's army; to kill him during a time of peace. The belt spoken off as "the belt of truth" and his feet, the sandals, both tainted by blood. Blood as a result of his own ego, his ownership of thoughts that lead to disobedience. 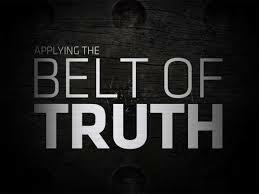 When the belt of Truth is tainted, when we take it off or try to manipulate Truth, chose to handle it according to our own definition, when we define Truth to best suit us, we are in trouble. Joab was killed, orders given by King David and followed through by his successor King Solomon. Nothing escaped King David; nothing escapes the King of kings. Compromise a tool of Satan, along with every concession or cooperation with evil intent leads us away from God; takes us away from that which is right. In his arrogance the wicked man hunts down the weak, who are caught in the schemes he devises (Psalm 10:2). Joab schemes did not go unpunished. An armor designed for us with a shield of faith, with which you can extinguish all the flaming arrows of the evil one (Ephesians 6:16). Reign in your thoughts, thoughts that can lead us to destruction. Commit every thought to the authority of Jesus Christ. For though we live in the world, we do not wage war as the world does. The weapons we fight with are not the weapons of the world. On the contrary, they have divine power to demolish strongholds. We demolish arguments and every pretension that sets itself up against the knowledge of God, and we take captive every thought to make it obedient to Christ (2 Corinthians 10:3-5). Re-read Ephesians 6 today. Let's make sure that our armor is on correctly, that each piece is secure. Take the belt of Truth off and everything falls apart. The season of change is upon us. This is my favorite time of year along with Spring. I look on the horizon as I travel; look at the mountain range and see the transformation occur. It's a healthy vibrant green landscape full of life and within weeks it seems like it dies. Two questions arise; is everything really alive in the midst of the green forest and when the conversion is complete, is everything that looks dead, really gone? When all is well and life is fruitful we really don't pay much attention to the areas that are slipping away; the parts of our lives that may need attention. As the season changes and the lush of greenery fades away, the obvious sick or dead zones seems to appear. They have been their all along. The leaves have fallen and now the dead trees, the trees that have fallen and split in two are resting on healthy strong trees. When the seasons change somehow we too change. In the Fall we seem to gather in all we need for the cold days ahead; we prepare for storms and power outages that may occur; those storms that try to remove the Light from us and leave us in the dark. How is the ground around you? Has it been fertilized throughout the Summer; have you taken good care of all that was overgrown and carefully trimmed and pruned all branches so they could produce good fruit? He cuts off every branch in me that bears no fruit, while every branch that does bear fruit he prunes so that it will be even more fruit. (John 15:2) If we neglect to be a good ground keeper, that which has been ours to care for, will be like the dead tree leaning and split in two; useful for nothing except to be thrown in the fire. The gentle breeze that comes in the Fall and adds to the removal of the leaves on the trees, well it reminds me of the Spirit of God that gently brushes through our lives. Seasons changing? Good! Let the Spirit of the Lord come and remove the dead weights that can can be a hindrance to our walk, our life! Interestingly enough, not every tree in the change of season looses their leaves as the same time. I've read on the process, that incredible transformation that occurs, photosynthesis. The abscission layer, a layer of waxy, corky cells at the base of each leaf. This stops the growing process and stops the flow of sap. The process of how chlorophyll is lost and hence the Fall miracle happens. It's not just a colorful splendor but their is the miracle of preservation. So, we fast forward into Spring and what do we see. The God of all creation has gently closed every tree bud, every flowering plant to be ready to thrive again. You see, these trees that seem like they are dying are really in a state of preservation. God has prepared the landscape; dead leaves if left on the trees, could freeze and with the storms coming, could cause a tree that otherwise would be healthy to fall in the midst of the storm. Preservation..... which can be translated as Salvation. Hallelujah! He has kept us and is keeping us. We guard what the Lord has entrusted to us for the sake of preservation and to affect the next generation, the new season, so that the message of salvation, the Good News may be heard everywhere! The season of change is coming....get ready....get ready. Let it Rain....I feel the wind of your Spirit! Have we Kept What Belongs to God; at what expense? I read this story in God's Word last night and it caused me to weep. A story many are very acquainted with including myself; it caused much sadness in me. The most wrenching part for me this time around was the family. In my mind I could not help but think, picture, try to imagine how this entire execution, the removal of this sin was accomplished. The sadness, the ripping of one of their own; casting them far from themselves to the point of death. If God were to shine his light among us, the people of God; what have we done that has caused reproach; has stopped the blessing of God from flowing or worst yet, what curse have we invoked upon ourselves? The crime was theft; You shall not steal Ex. 20:15. A close look and in the light of all the plunder it seems petty; silver, a robe, and a gold bar vs. 24. The issue here is not the quantity, he also broke another commandment, you shall not covet Ex. 20:17. He disobeyed God's rule; what God has spoken for their own protection. The city and all that is in it are to be devoted to the Lord; keep away from the devoted things, so that you will not bring about your own destruction by taking any of them Joshua 6:17-18. So many things went wrong. Sin lead to more sin. Achan thought that God could not see below the tent floor; all that represented sin was buried in the dirt. Achan, God not only sees below your tent but he is able to see beyond your heart of flesh; the intention, the motive, the deception, the arrogance, the bowing down to another god--self. I could go on and on at all the the Lord ministered to me last night. Here is the pain; in order to eradicate the sin from the camp Achan and his entire family died! The stolen items--gone....the cattle and everything he owned--gone, his wife, his children....all gone. I don't believe they all went willingly; perhaps their was arguments that erupted. The wife-- I did not do it, he sinned against God not me, let me live!. Children crying, probably very much aware of the imminent death sentence; the look of disapproval of their father; why dad....why? We might argue that perhaps the family knew, but what if they didn't. Everyone in Achan's family paid for his wrong doing. The tenderness of Joshua was so eloquently written in the Word of God. “My son, give glory to the Lord, the God of Israel, and honor him. Tell me what you have done; do not hide it from me.” The leader of God's flock; please, please Achan; perhaps with tears in his eyes; please agree with God, confess, remove this stench from the camp. It smells like death. Please.....Our choices have ripple effects; this should cause us to tremble. One more thing, what if when the Lord was getting close to him, tribe by tribe, clan by clan. 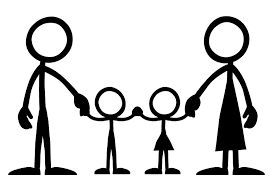 What if at the genesis of the search; what if Achan fell and called on the mercy of God, what if confession was offered quickly not waiting until he was the last family standing if you will; would things have turned out the same; perhaps? We do reap consequences, but why continue to hide the sin if God already knows....why? This was an issue of first fruits. First city to conquer. It belongs to God! Don't touch what belongs to the Lord....it has rippling affects. Keeping what belongs to God curses everything we have; it causes death. Our choices do affect our family! The familiar women at the well; she brings an earthen vessel perhaps to bring water back to her family. She is all ready to satisfy her thirst and her need for this essential part of life; water. But her trip is interrupted by a Jewish man sitting by the well. He proceeds to ask her to fetch him some water, but soon this conversation will cause her heart, eyes and mind to be opened up and experience worship like she has never known before. She has learned that this water brings satisfaction. A Samaritan woman speaking with a Jewish man; this encounter is strange; something more than words is penetrating the core of her being. She begins to confess; yes, the man she lives with is not her husband. She agrees with Jesus. When we encounter God the miraculous happens. Did she really have to agree with Jesus? Was Jesus snooping around her home; was he checking out every move she made? How did he know she had so many husbands? How did this Light pierce the darkness? Why did he expose her? See, you cannot drink of the Living Water and remain the same. Its purpose is for cleansing, renewal and restoration. You can’t help but worship when you have been released. When Light dispels darkness there is freedom. When Truth comes in to silence the lies, you can’t help but worship, you must tell someone; it pushes you to testify. It’s a liberating experience. Nothing this woman had could contain the water that Jesus was offering. Jesus not only offered the Living Water, but he is the Living Water. We can’t carry it in the clay pot we have; flesh gives birth to flesh, but the spirit gives birth to the spirit (John 3:5-6). There must be a transformation that only God initiates. He changes the vessel, Glory to God, I am not the same. This conversion revolutionizes everything about me! I can’t help but tell all that I encounter; come and see the man that has told me everything about me! My expression of gratitude comes for a converted heart; it leads me to my knees. I don’t need a mountain to worship God; something miraculous has happened and I can’t help but express it wherever I go! Worship flows from within and my spirit rejoices; my heart has been engaged with the Living Water. Whoever drinks the water Jesus gives them will never thirst. Indeed, the water He gives will become in them a spring of water welling up to eternal life.” (John 4:14) Glory to God! This is one of those verses that make me tremble and also stand in awe at the same time. For weeks now I have been thinking about the Sovereignty of God; why does God do things different that how I perceive them in my own head. Well for starters the Word of God says that I am the created of God and the he is the Creator. He is Holy and we chose disobedience in the Garden. But God…why do you do things that way? God is not surprised by my questions; but I am definitely intrigued by his explanations or better said the outcome of situations that cause me to stand in awe and bow in reverence because there is something so deep; the riches of God’s glory that as an adult I still don’t fully understand. Why did he bring Jacob into the land of Canaan only to have him go to Egypt to survive; they had no food, why make them go to the land and them have them leave. Why was Joseph sold, he did no wrong. The Bible says that which was meant for harm him, God used for good; to save lives, even the lives of his own family who sold him. Why did the blessing that was “supposed” to belong to Esau go to Jacob? In four generations God gave the blessing to the younger brother when tradition said it belonged to the older. Isaac instead of Ishmael, Jacob instead of Esau, Judah instead of Reuben and Ephraim instead of Manasseh. Go a little ahead and we see Solomon the son of the woman that David had an adulterous relationship with; I know the first son died, but why would you use this woman to carry Solomon, the man that would build the temple? God does impart wisdom and revelation and we can follow history and see that indeed God knows best; and yet sometimes it still baffles the mind. Oh to have that kind of wisdom and insight, to know how to make correct decisions; to do as God says and not how I feel; to move through this life hearing from God and doing as he directs. 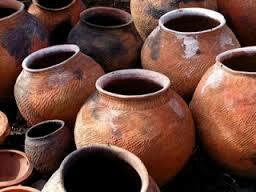 I yearn to please the Potter; this clay desires to be molded and shaped in a way that pleases God. 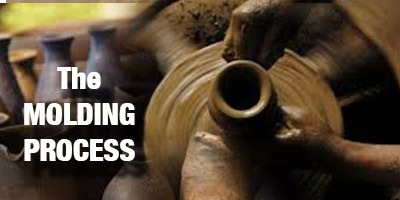 I can be all that God wants me to be, but I have to lean, bend, submit to the Potter’s wheel. He indeed has sent his Spirit; the Spirit that teaches me and guides me. God wants us dependent on him for our own good. In the midst of our suffering and trials God is trying to make something more beautiful out of us and our circumstances; something that will bring honor to the Potter. Moses could see the Promise Land but not enter; ouch….so much work; dealing with people who did not honor God constantly---but Moses….neither did you. Why sickness and disease; why financial trials that cause us to cry at night. Why take my mom so quickly; why overlook me Lord I am the firstborn; why do you seem so distance Lord; why did this marriage that was to honor you fail; why does depression linger; why, why , why. The questions of men. We have more questions than time on this earth. I choose to stand in Awe of the Potter; marvel at the outcome of his Sovereignty. There is one question that puts all these other questions in the shadow for me; why mercy and why grace. Why did you choose to die; why would you willingly go to the cross when those that you created cheered you to your death? Why in the midst of all this does Love pour out of you, for me? Why do you give me what I don’t deserve and hold back your wrath from me that I do deserve? Mercy & Grace…..I’ll stand in awe of You! His desire is that none would perish but know Him, be redeemed and experience a full life; a life in the Potter’s hand. God has a way of working it out, everything that you are worried about…so don’t be discouraged and don’t ever doubt, God has a way of working it out. (Lyrics God has a way) To God be the glory! Everyone remembers last words. When a friend or a love one dies we often, replay, analyze, scrutinize and study ever phrase; at times even trying to gain comfort from those words; even as life evades those we love. We are trying to receive something for ourselves; grab a hold of their love for us one more time. If somehow we have captured their voice, we replay and listen to it over and over again; paying attention to every syllable. Every letter is treasured; oh and let their fragrance be detected in a room and joy springs up in our hearts. It’s no different on the day our Lord was crucified. Emmanuel, God in the flesh; and what did we do? We celebrated his coming into Jerusalem shouting hosanna, hosanna in the highest. The crowd watched; stood by in awe, some in wonder and amazement, several in repentance, others in self righteousness could not see their God. Some were partakers in his death, and yet he died for them all; for the one who cleaned his brow and the ones who pierced it. For God so love the world that he died, died for them ALL! That’s the love of God! On that day there were many in the crowd. Please allow me creative liberty to explore the hearts of the witnesses on that day. Be Inspired! family & friends, The Seven Last Words of Christ. Listen carefully and the noises of Jerusalem on that day could be heard. Examine it with your heart and you can hear the sounds of grace and mercy calling out your name. It’s the sandals of the Lord walking as he reaches the Mount of Olives. Surrounded by the disciples, he asks them to pray, as he does the same to his Father in Heaven. It’s not the tongues of men you hear, but the sound of exhausted men sleeping. It’s the cry of the Redeemer calling out to the Father and the sound of angels wings and they arrive to minister to the son. It’s the echo of the kiss that betrays the Master; the sword that’s swung as flesh falls to the ground. It’s the ache of being disowned; innocent blood. The sound of remorse; a crow testifying and tears dripping down the face of the one who said, he was willing to die. Ease drop and turn your ear to the Holy City. It’s the whipping and the piercing of the flesh; the blood splattering to the ground. Watch him and look carefully for the one crucified will speak to your heart. We chant vulgarities and “crucify him”. He gently speaks forgiveness, allowing the work of redemption to commence. It’s a crowd of spectators; laughing and taunting; some afraid, several broken and in anguish; others seem unaffected or were they? Some go along with the plan and others try and stop it. The voice of Pilate, finding no basis for a charge. 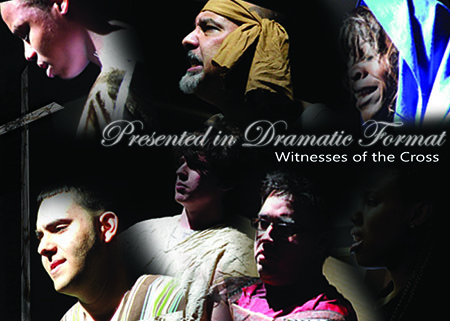 The ridicule and laughter of Herod and his soldiers. Turn your ear again and the chief priests and the teachers of the law are vehemently accusing him. The sounds of the day, the day our Lord died for you! Listen. Listen—the coins in the hand in Judas; the coins tainted with blood. It’s the casting of lots rolling on the ground; all for a few pieces of clothing; the hissing from the serpent lurking in broad daylight for a victory that never was; the rumble of an earthquake, the ripping of the curtain and the culmination of the redemptive plan. It’s a tearing and a ripping; a split and a piercing into the heart of man. Some will run; try and mend it; put it up again; hide the sin deep in the crevasses of the heart. But as light shines in the hearts of men and expose the darkness that has kept us apart from God; some embrace the mercy and grace that’s flooding their hearts. It’s a choice. It’s a gift. This curtain has separated us; it has hid our sins from ourselves; God has always seen us for who we are—it’s the True Light that gives light to every man; He has come into the world! During the Passover it was customary for the Romans to release a prisoner. I’m not a nice guy. What were the chances that I would ever see light again? I am Barabbas. I hear my name being chanted. I don’t know why my name is being called. Can it be that my time has come? I’m not afraid to die; I take life when I want too. I am a killer. The crowds are moving, so I go along. It’s him, the one who took my place. They are hanging him on a tree, nailing him to a cross. Through the crowds I can hear him speak. Father, forgive them, for they don’t know what they are doing. What? Sure they do. You are going to die. They have you. They know very well what the outcome will be. Father, what father? Who is he talking to? He looks up and he looks down gazing at the crowd. Does he see me? I am Barabbas. Does he know what my name means; Son of the father; is he angry because he’s dying instead of me. I know who I am, I’m a killer. No one likes me; my life lost its purpose a long time ago. Father, forgive them, for they don’t know what they’re doing. Somehow I think he’s talking to me. I knew exactly what I was doing. I chose freedom when it was given to me….yet somehow I still feel like I’m in prison. I’m nailed to a cross; the heat of the sun is beating on me. The pain is unbearable. The spikes through my hands have ripped my tendons and sinews; my skin is ripped, my bones are crush and blood is dripping from my body. I take breaths and they seem to be getting more and more shallow. Yes, I am screaming with every bit of energy I have left; yelling at the top of my bruised lungs. Does God only hear the righteous? What do I have to lose? It’s an ongoing monolog. Get us down from here. I thought you were the Son of God. All those miracles you did. Do you have one more—now would be a good time! I don’t have much breath in me left. Do you see what’s happening here? Do you hear them? The insults come from many tongues; from me, from the other thief. I can see he’s is angry too. We are hanging on a cross just like Jesus! Can’t you hear us? Does God answer prayer? Then it happened. This criminal—because that’s what he is. No different than me! He begins to dialogue with the “King of the Jews”. I shout out to him, “Have you not been listening”? I’ve been talking to Jesus this entire miserable time. He begins to tell me to be quiet. I’ve been trying to get us to live and he’s telling me to hush. What has caused this fool to converse with Jesus; just moments before he was spewing insults at him? His heart; something happened—I don’t know when it occurred since we have not been able to escape the cross. How did he encounter God? I’m mean really, I don’t recall him leaving the cross and entering the temple. Jesus is fixing his gaze on this man. He is giving him his attention; inclining his ear to him. I shout, “Jesus he’s no good”! No better than me! I heard it. He asked him; Jesus, remember me when you come into your Kingdom. What Kingdom; if he was a King would he be hanging on a cross? Jesus answers him: I assure you, today you will be with me in Paradise. My son, Jesus. I was not prepared when the angle of the Lord came to me. I was startled! More like scared. He said, Greetings you who are highly favored! The Lord is with you. He said “Do not be afraid, Mary, you have found favor with God. You will be with child and give birth to a son, and you are to give him the name Jesus. I asked him, how will this be since I am a virgin. He said “The Holy Spirit will come upon you, and the power of the Most High will overshadow you. So the holy one to be born will be called the Son of God. It happened just like he said. Have you ever lost someone; every last moment so precious; clinging to their every word? He said, Women, behold your son. Yes, John, the one he loves; we both are in pain. The agony is more that I can describe. Oh my precious Jesus! I’m just a fisherman from Galilee. The Teacher saw me and asked me to follow him, and I did. My eyes have seen things that I never saw before. Perplexing thoughts flood my mind now. The last day I ate with my Lord he talked about betrayal. Could God betray him? I know I feel like I have. I should have fought for him. All the love he has for me and I did not try and defend him. They took him and my hands never helped him. He asked me to pray and I fell asleep. I watched him, Jesus my Lord. He has been stripped of everything. Yet, I’m not the one being persecuted. It’s Him and I feel so helpless. Could God forsake him? I’ve seen him raise the dead; yes Lazarus was dead and he called him to awake as if he was just in a deep slumber. Water has become wine, multitudes have been fed with just a few loaves of bread; blind eyes have been opened. I even saw him walk on water. He has spoken to me, sometimes in parables and other times very plainly. He said he would protect me, like a shepherd protects the sheep. I keep remembering what he said, “ The reason my Father loves me is that I lay down my life—only to take it up again. No one takes it from me, but I lay it down of my own accord. I have authority to lay it down and authority to take it up again.” Has it been his choice to go to the cross? He’s touched many and breath has been returned to them, yet he seems to be dying right before my eyes. Who will raise him up again? He said in a little while you will see me no more and then after a while you will see me again. What does that mean? I’m scared. In a little while, all I see is him dying. I’m not sure what to make of that day. I have orders and I am to follow them. There is sign clearly posted for everyone to see; it points to the identity of this man, Jesus, King of the Jews. I’m not a Jew but is he a King? I’m a Roman soldier; I do what I am told. We are many; Roman soldiers upholding the law; and yes we are mocking him as well. This day is not like any other day; darkness hovers over us, we proceed with the orders given us. The end is drawing near and I hear him call out my God, my God why have you forsaken me? While foul remarks continue to be hurled at him; I’m not innocent, I too took my turn; He said he was thirsty so I quickly ran and gave him a drink. There was some hesitation that I felt. See I remembered his arrest. That night when we arrived as the kiss identified him; He was asked if he was Jesus, he replied, I AM. All I recall was falling backwards to the ground. His identity, his presence, his voice alone, well it sent us all to the ground. There was no one with him except his scared disciples. I quickly got a reed, put the sponge on the end, dipped it and offered him a drink. I try to examine my heart; I think I was afraid? There was fear; the inside of me trembled, I mean, I know I’m a soldier, I’m supposed to be brave, but… what if I get close to his bruised face and….well I don’t know what will happen. It was like a breeze that swept through my body. The sponge touched his lips and something touched me. This time I retreated on my own. I felt dirty. How odd, how strange to comprehend; it caused me to think; a rejected king? Could I believe this message? What if it’s true? I’ve always been in the shadows, unable to be part of everyday life. People avoid me. My relatives escape my presence. I’ve lived in shame and ridicule. I heard of him and sought to find him. It’s with those words; “It is finish”, that have caused me to remember again. He’s dying. They taken him and placed his body on this cross. I see it, red like crimson; drops of blood flowing down his body. It drips along his ripped flesh. I can see it flow into his torn side. With every gasping breathe the blood streams to the ground. It was not long ago when I, the outcast, in desperation, moved among the crowds that followed him. Here I am again in the crowd. No one would touch me. No one could come near. It was finished! Healing, it was mine. The blood it just -- stopped. Twelve years of agony. Doctors could not help me. And now it just stopped. I have a sense of wholeness but I was afraid. He knew; he knew it was me. I have defiled the Master. He called out for me. He was aware, Jesus knew. He turned around in the crowd and asked “Who touched me?” The disciples couldn’t answer him, there were so many followers. His eyes are searching to and fro. It’s me Lord; I could not hide any longer. I fell at his feet as I trembled, told him the truth, I worshipped at his feet. He called me daughter. He said my faith had made me whole. He told me to go in peace and suffer no more. He saw my affliction and the anguish of my soul. Jesus is hanging on a cross. Why should he suffer? What wrong has he done? It seems like every ounce of blood has fallen to the ground. His is not like mine. I was contaminated, yet when I touched him he did not retreat. Somehow I did not make him unclean. He said virtue had flowed from him. It’s heart wrenching to watch. But I can’t stop my eyes from looking at his face. Perhaps it’s strange, but the flow seems precious. There’s a sweet presence here. I just don’t fully understand this all; I find myself worshiping at his feet again. The day I saw him, I threw myself at his feet. I worshiped him too. What else does one; a ruler and I have no power to heal my daughter? I saw him in the synagogue; (Mark 1) we were amazed; he spoke like one who had authority not like a teacher of the law. The man possessed with evil spirits entered the synagogue and he called him by name, Jesus of Nazareth. He question Jesus and asked him if he was the Holy One of God. It happened so quickly; Jesus spoke and a loud shriek was heard; it still echoes in my soul. In a moment; just with a spoken word, this man was free. We were all amazed. A new teaching and he, Jesus, has authority. So when my daughter was dying I ran to his feet. The crowd was massive but somehow I reached him. I humbled myself before him. I pleaded with him, I had no shame. I’ve seen what he can do. He speaks with authority; even evil spirits obey. I begged, my little girl is dying, come please, put your hands on her and she will live. He begins to walk; it’s just a matter of time and she will be well. And then she, the woman that touched his garment, interrupted us. The healing that my little girl needed; she took it. She was made whole even as the news that my twelve year old daughter had died. I cried; my head hung in shame. A synagogue ruler, and I have no authority; I can’t even get the teacher to my home in time to save my little girl. The words of the messengers, don’t bother the teacher, your daughter is dead. He ignored the messengers. He looked at my distraught face and said, “Don’t be afraid, just believe” He allowed no one to follow except for a few of his disciples. I could barely walk. As I arrived the wailing and crying just confirmed what I already knew. She was gone! He questioned my family and my friends. Why are you crying? She is not dead but just asleep. How does one go from crying to laughing? But that’s exactly what they did, they laughed in his face. Again he pushed the crowed away and entered my daughter’s room where she laid, cold and dead. He was not afraid to be defiled. He touched her and began to speak. It’s that authority again; I recognize it. So I watched him; Jesus, the One with the power to heal. He told my daughter, “little girl get up”. To my wonder, though she was dead, she awoke and breath came back to her. He must be the Holy One of God! Who else can do miracles? I remember my daughter’s words: Daddy why does Jesus have to die? Did he not make me live? Listen, for the testimonies that still come today. Jesus continues to transform lives. I am not who we used to be. Rejoice, He lives conquering death for you and for me! so that you may know and believe me and understand that I am he. Before me no god was formed, nor will there be one after me. Where are you in the crowd of witnesses? He still speaks and calls out today just like on the day he laid his life down for all mankind.